Two of the most difficult tasks involved in RV camping are backing up to hitch your trailer and backing into your campsite. Whether your motivation is making sure your path is free of small children and pets or simply avoiding starting out every camping adventure with the “joy” of miscommunication as you and your co-pilot try to work together to back into your campsite through gritted teeth, an RV backup camera can help keep you and your loved ones safe. Now commonly referred to as boondocking, camping free of charge is real, but it isn’t for everyone. Boondocking isn’t officially defined but the term stems from the expression “boondocks” that refers to a remote area. Overnight RV parking places such as truck stops, Wal-Mart parking lots, or campgrounds in which RV hookups aren’t available may not necessarily seem remote, but are all generally lumped into the boondocking category. 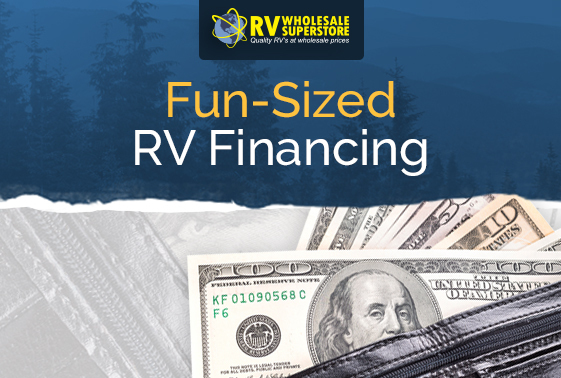 What’s The Best Way to Finance a Small RV? Good things do come in small packages – even when it comes to RVs. What small RVs lack in size, they more than make up for in freedom. Unlike their larger counterparts, these fun-sized campers aren’t limited to wide-open, asphalted RV parks. They can go almost anywhere the road takes you – the wilderness, across the country, or your favorite local campground.